It is with joy that Hands announces the return of Xabec, one of the most idiosyncratic artists on the HANDS roster. From the Archives 1999-2009 is much more than a mere collection of tracks; it features unreleased live recordings and rare material that has never been available on CD before. All recordings have been carefully remastered, partially restored on the basis of live versions, as some original files were lost during a hard drive crash in 2004. 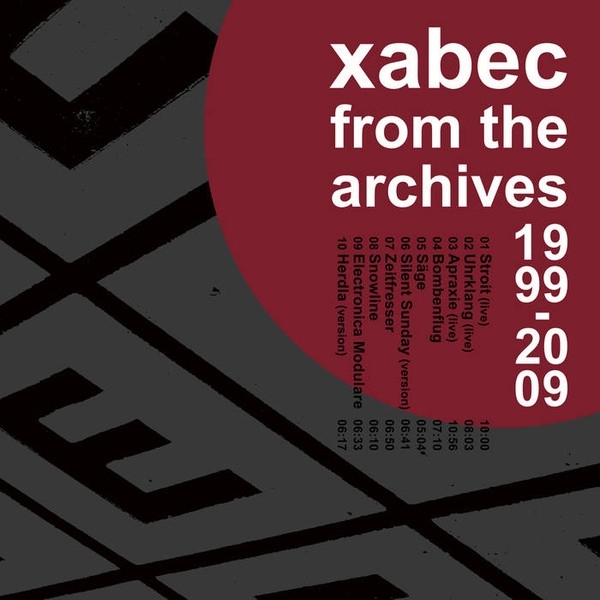 The result is a journey through the arguably most experimental facets of Xabecs art and its development over a decade. Ten years, ten tracks  one each culled from the 4 vinyl singles Xabec released over the years, two unreleased versions, three live cuts and one compilation tracks. The album covers the evolution from the first, very minimal compositions to the more flamboyant arrangements from the late 2000s on. It takes a look back, but also serves as a hint for future possibilities.